A paupers' hospital was built in Dumfries in 1751-3, at a time when very few charities of a similar nature existing in Britain. 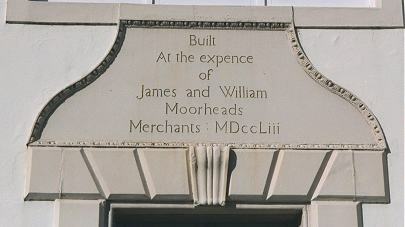 It was endowed by James and William Moorhead and became known as Moorheads Hospital. Its location and layout are shown on the 1899 map below. 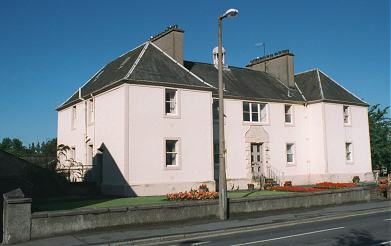 The building later became an old people's home but has now closed and been converted to other use. A poorhouse was erected in 1853-4 in the Cresswell area to the east of the town. Its design was the subject of an open competition for a building to accommodate 150 inmates, and which was to cost no more than £3,000. The winning design was by Mr Henderson of Edinburgh who was also the architect of St Mary's Church in Dumfries. Dumfries Poorhouse from the east. After 1930, the poorhouse became known as Rosevale House. The buildings were later demolished to make way for the Cresswell Maternity Hospital.